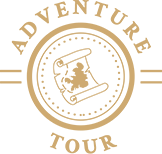 An intense motorcycle trip, for anyone with a taste for adventure wanting to stretch their boundaries and discover North Thailand’s unexplored tracks! 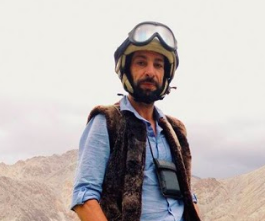 Our fashion-icon tour leader has two long-standing passions: photography and The Bullet. But above all, he’s in love with India. 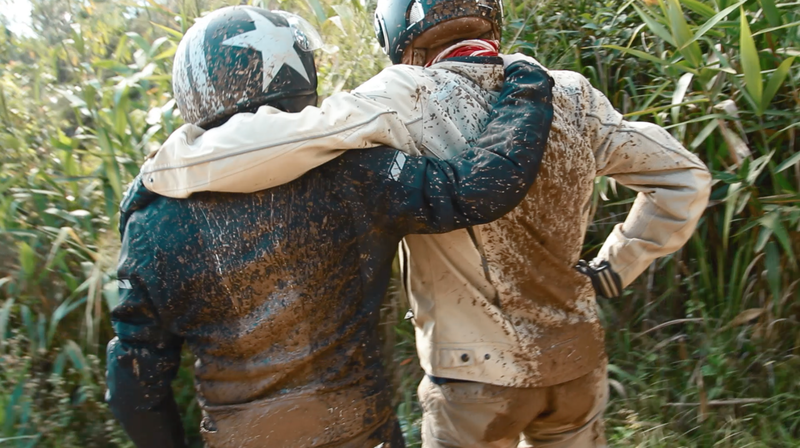 Are you a seasoned biker thirsty for adventure? Do you love the idea of riding on unbeaten tracks? 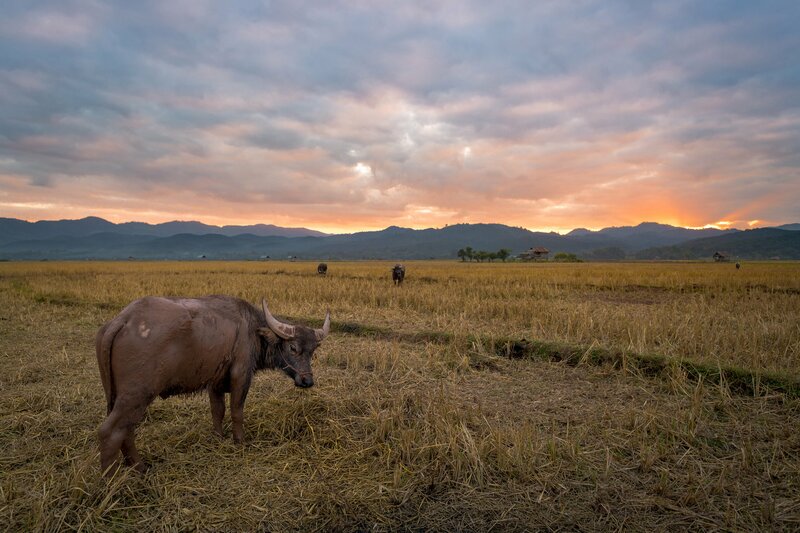 Embark on an adventure, where you’ll discover a region of Thailand unlike any other. 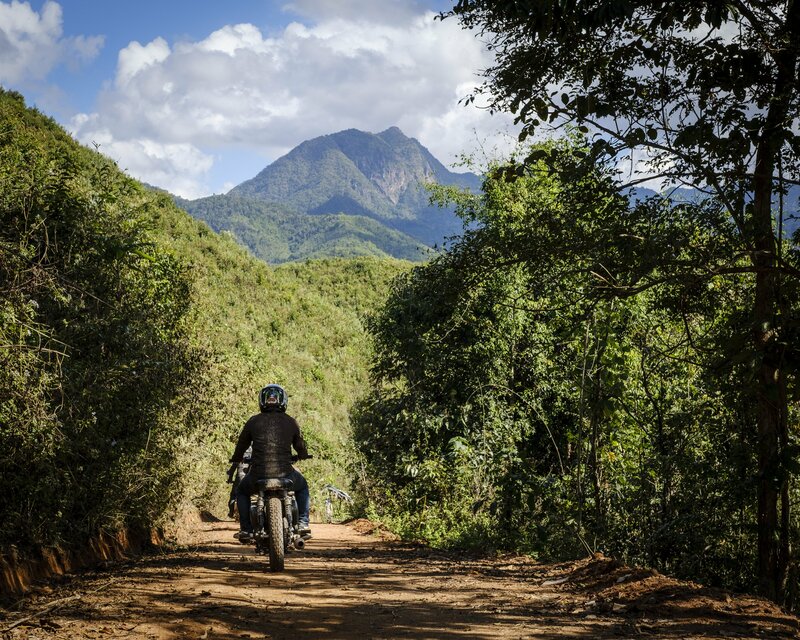 This 10-day motorcycle tour, with an off-road focus and intense pace, takes you on tracks where no motorcycle has ever been. 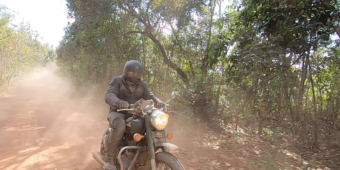 We leave from Chiang Mai and gradually push deeper into the jungle on our trusty Royal Enfields. 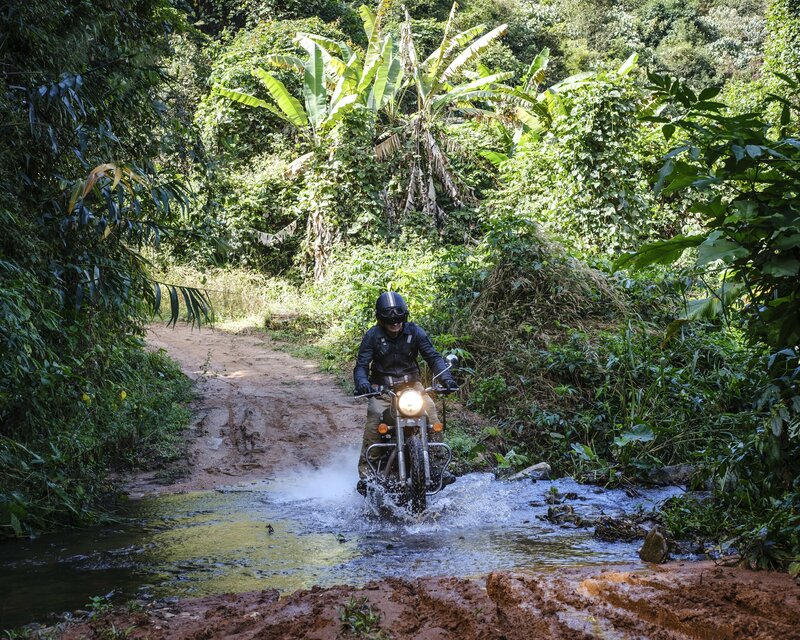 Riding almost only on jungle paths, trails and small tracks, our itinerary passes through the heart of Northern Thailand’s lush nature. 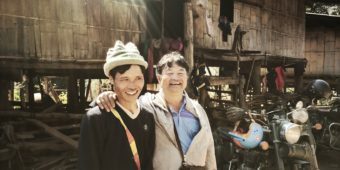 Once trodden by elephants during the Silk Route era, this circuit takes us back in time from village to village, as we come across different mountain tribes. You are met at the airport and transferred to your hotel. 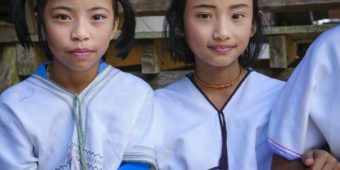 You can use this first day to explore Chiang Mai, a large city in northern Thailand. 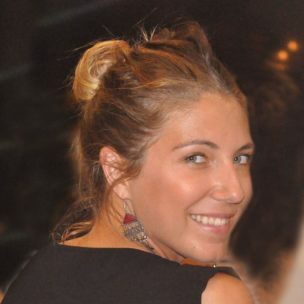 Overnight stay in a standard hotel in the city centre. We set off for our Adventure with a capital “A”! 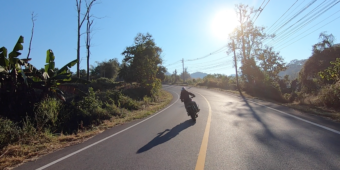 After a few miles in Chiang Mai, here we are on small paved mountain roads. One curve after the other, we get used to our Royal Enfield motorcycle. 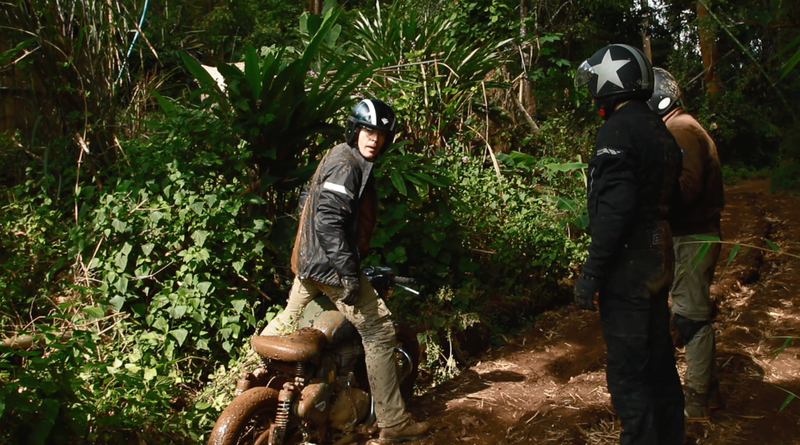 After lunch, off-road starts ! Overnight stay at standard guest house. 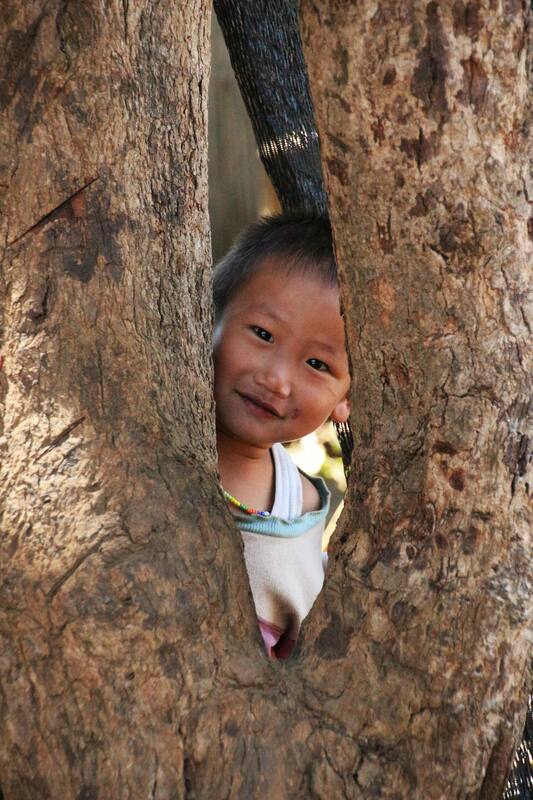 From trekking paths to Enduro tracks, from Hmong villages to Karen or Lahu villages, our adventure is in full swing. We put the famous Silk Route path taken by elephants to test. Overnight stay at a homestay. This morning, we ride along the border and enjoy a break at Jabot local café before a change of scenery. 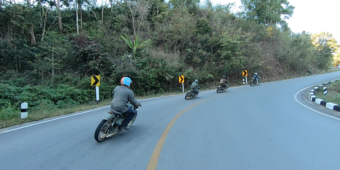 In fact, we reach the well-known Mae Hong Son loop and its 1,864 bends! 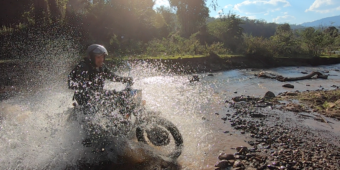 However, before we know it, we are back on the mud tracks and fording streams on our way to Mae Hong Son city. Overnight stay in a comfortable hotel. Waking up with a view over the City of Three Mists is magnificent, inviting us to push on deeper into the jungle on the smallest damaged paved roads and then the smallest paths possible. 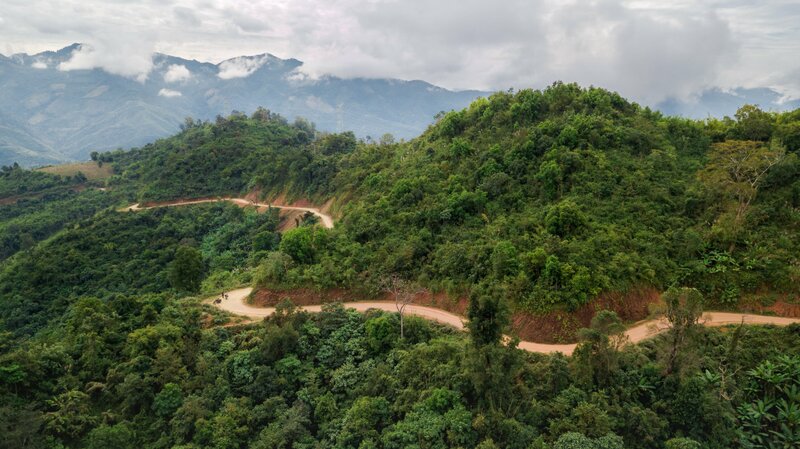 From one national park to another, we ride along endless ridges until we reach the small Khun Yuam valley. Overnight stay in a standard guesthouse. We break ourselves in gently for this long leg by heading south for around twelve miles on the famous road with 1,864 bends. This chain of beautiful large curves is a real feast for the eyes in the morning light. 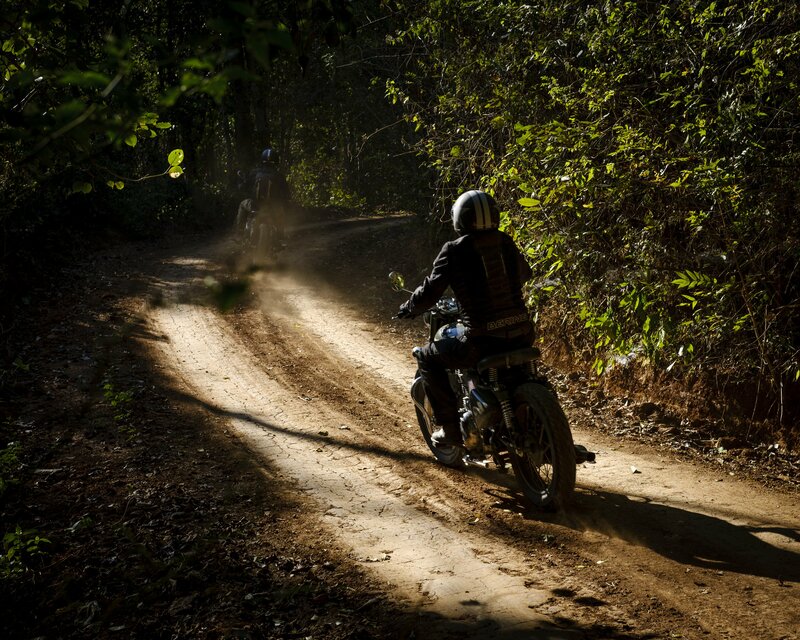 Then, it is time to go off-road! 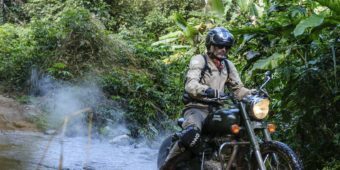 In true Red Bull Romaniacs style, learn to handle your old Royal Enfield on the country’s most difficult tracks. Overnight stay in a comfortable accommodation. Yesterday’s leg was the perfect taster session for what’s in store today: the joys of the way-too-small tracks and frightening drops continue to enthral us today. It feels like we have lost our way as we have spent the last few days riding southwards. 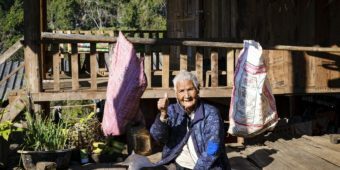 Villages such as Lahu, Lao, and Shan seem to become rarer and our presence stranger still. 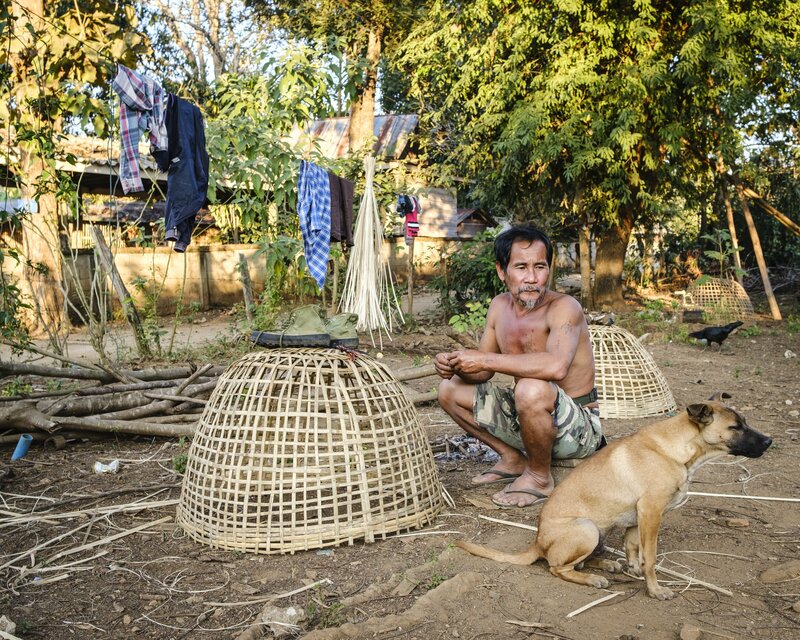 We get the chance to relax in Mae Sariang, on the banks of its river. Overnight stay in a comfortable hotel. 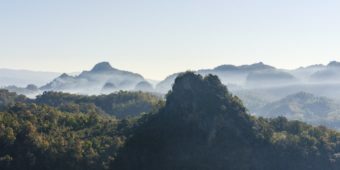 We leave first thing and break ourselves in gently on the Mae Hong Son loop then change direction, heading east into the Mae Ngao National Park’s jungles. 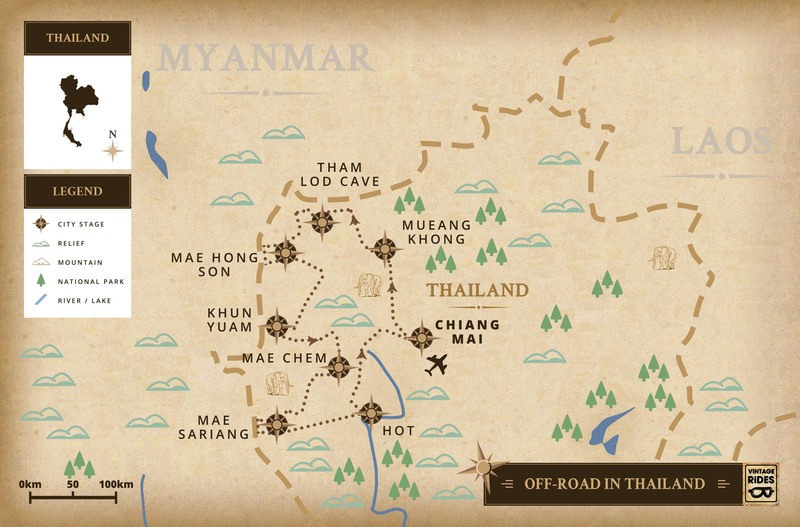 Now, our objective is to go over the two mountain ranges separating us from Op Luang National Park. These uninhabited jungles become our playground for the day. Overnight stay in a standard accommodation. We head north on our last biking day. 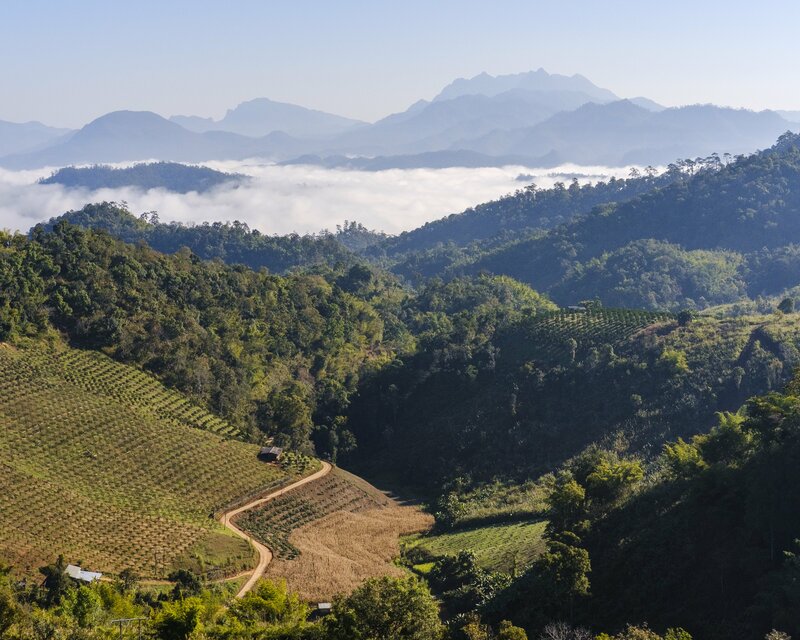 After a short time, we reach the Op Luang National Park, which offers us stunning tracks. 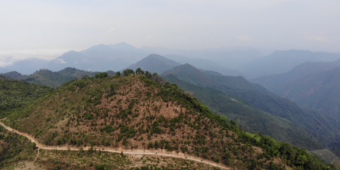 Without even realising it, we reach Doi Inthanon, Thailand’s highest mountain with an altitude of 2,550 m. We finally come back to Northern Thailand’s main city: Chiang Mai. Overnight stay in a standard hotel. 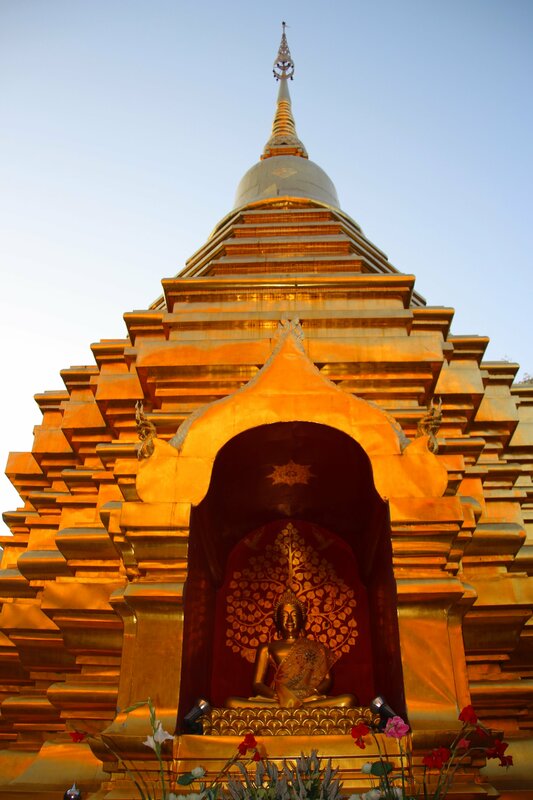 Depending on your flight schedule, you may have time to enjoy a few more hours in Chiang Mai. You’re transferred to the International Airport.